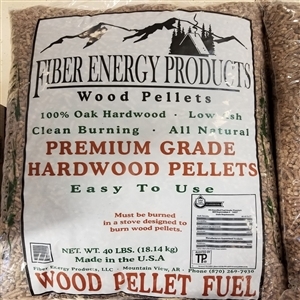 Fiber Energy Products Premium Grade 100% Hardwood Low Ash Clean Burning All Natural Pellets For single wall stove pipe only. Durable and highly accurate. Monitors wood stove performance. Burn efficiency range from 100 to 850 Deg. F (40 to 475 Deg. C). Install on stove pipe with magnetic attachment. High density. Has a service temperature of 1204 degree C (2200 degree F). 9" x 4-1/2" x 1-1/4". For use in conjunction with the standard barrel stove kit to allow for adding an additional barrel stacked on top. Adding this kit increases the amount of heat radiated off the barrel stove. Perfect for a rustic cabin, pole barn or workshop. All cast iron kettle steamer is both decorative and practical. Delightfully whimsical way to add humidity to the room. Improves the burn of the fire while extending the life of the stove. Raises wood off the bottom of stove, helps air circulate underneath wood to feed the fire, allows ashes to drop through the grate creating a cleaner burn. Protects cast iron base of the stove. Improves the burn of the fire while extending the life of the stove. Raises wood off the bottom of stove, helps air circulate underneath wood to feed the fire, allows ashes to drop through the grate creating a cleaner burn. Protects cast iron base of the stove. For use on freestanding wood stoves with a surface temperature between 230?F ? 650?F (110?C ? 345?C). The Ecofan Original is an economical way to move air throughout your living space. Heat powered wood stove fan that creates its own electricity from the heat of the stove, and pushing up to 100 CFM (cubic feet per minute). This fan is ideal for those living off the grid or looking to increase the efficiency of their stove and use less fuel. Whisper quiet and completely assembled. Dimensions: 4.5? L x 8? W x 10.75? H. All cast iron for long life durability. Converts any 30 or 55 gallon drum into an economical and efficient wood burning heater. Clearances: 36" side wall, 36" rear wall, 36" corner. SPECIFICATIONS: 10" x 11" door opening. 6" round flue size. Use wood fuel. Simple operation and virtually maintenance free. Resin log set and dancing yellow faux flame, glowing ember bed for real wood burning effect. Wood stove styling, see through glass door, flame intensity control, safety thermal shut-off. Operates with or without heat for year round enjoyment. High/low heat output. Built-in thermostat. Compact design. For use on freestanding wood stoves with a surface temperature between 212?F ? 650?F (100?C ? 345?C). Heat powered wood stove fan that creates its own electricity from the heat of the stove, and pushing up to 125 CFM (cubic feet per minute), Ideal for those living off the grid or looking to increase the efficiency of their stove and use less fuel. Whisper quiet and completely assembled. Dimensions: 3.75? L x 7.88? W x 10.5? H. For use on freestanding wood stoves with a surface temperature between 212?F ? 650?F (100?C ? 345?C). Heat powered wood stove fan that creates its own electricity from the heat of the stove, and pushing up to 125 CFM (cubic feet per minute), Ideal for those living off the grid or looking to increase the efficiency of their stove and use less fuel. Whisper quiet and completely assembled. Dimensions: 3.75? L x 7.88? W x 10.5? H.
750/1500 watt heat selections. With wood stove styling, concealed front access controls, flame only option (no heat), and flame intensity adjustment. Approx. size: 23.2?H x 20.35?W x 12.7?D. Realistic logwood flame effect (Resin logwood). Black plastic & bottom panel. Adjustable flame brightness, adjustable thermostat control, automatic overheat protection system. Heats up to 160 square feet. Two-prong grounded plug. 120V/60Hz, CSA certified. 21-1/4"H x 16-1/3''W x 11"D. Versatile steel. Panoramic 3-sided viewing. 1000 watt resistance heating element plus 500 watt quartz heating element. Glowing infrared heat. Realistic log set, dancing yellow faux flame, glowing ember bed for real wood burning effect, built-in thermostat, wood stove styled cabinet, safety thermal shut-off. Operates with or without heat for year round enjoyment. Compact design fits almost anywhere. Simple operation and virtually maintenance free. Approx. size: 23? x 20? x 11?. Produces the highest airflow over a wider range of stove surface temperatures. For use on freestanding wood stoves with a surface temperature between 185?F ? 650?F (85?C ? 345?C). Heat powered wood stove fan that creates its own electricity from the heat of the stove, and pushing up to 175 CFM (cubic feet per minute). Ideal for those living off the grid or looking to increase the efficiency of their stove and use less fuel. Whisper quiet and completely assembled. Dimensions: 4? L x 9? W x 11.75? H. Produces the highest airflow over a wider range of stove surface temperatures. For use on freestanding wood stoves with a surface temperature between 185?F ? 650?F (85?C ? 345?C). Heat powered wood stove fan that creates its own electricity from the heat of the stove, and pushing up to 175 CFM (cubic feet per minute). Ideal for those living off the grid or looking to increase the efficiency of their stove and use less fuel. Whisper quiet and completely assembled. Dimensions: 4? L x 9? W x 11.75? H. 2-speed room air blower with 3-position switch (Off, Low, High). Evens heat flow throughout your heating area by circulating warm air over your stove and around your room. Works with model 50-SNC13, 50-SVL17, 50-SHSSW01 or 50-SNC30 series wood burning stoves. Attaches to rear heat shield with four screws that are pre-installed on stove. Constructed of fully welded 12 gauge steel. ?HexaTech? Hexagonal firebox design provides long burn times and even heat distribution. 1 cu. ft. firebox can heat tents up to 12 x 14 and burn up to 5 hours. Large flat surface for cooking ? reaches up to 600 degree F. 38 lbs. total stove weight is easy to transport. Bent top edges maximize heat and double as carrying handles. Offset chimney pipe for more cooking space (4? diameter, top exhaust). High temp. fiberglass door gasket (included). Circular door damper and in-door air redirect. Legs are removable and fit inside the stove body for storage and portability. Ash lip provides extra safety. Included spring handles keep the door latch and damper controls cool to the touch. Satin black, high temperature paint is attractive and easy to maintain. Only for use in tents made for stove usage (i.e. a canvas wall tent with a stove jack); not for use in nylon or other tents not suited for stove use. Dimensions: 19 ? ?L x 14?W x 19 3/8?H. Variable speed room air blower with rheostat, to control fan speed. Complete assembly. Attaches to rear heat shield with four screws that are pre-installed on stove. Evens heat flow throughout your heating area by circulating warm air over your stove and around your room. Works with the 50-SNC30 series wood burning stoves. Dimensions: 4.5" H x 4.5" D x 18" W. Constructed of fully welded 12 gauge steel. "HexaTech" Hexagonal firebox design. 2.7 cu. ft. firebox can heat tents up to 16 x 24 and burns (up to 8 hours). Large flat surface for cooking ? reaches up to 800 degree F. 63 lbs. total stove weight is easy to transport. Bent top edges maximize heat and double as carrying handles. Offset chimney pipe for more cooking space (4? diameter, top exhaust). High temperature fiberglass door gasket (included). Circular door damper and in-door air redirect. Legs are removable and fit inside the stove body for storage and portability. Ash lip provides extra safety. Included spring handles keep the door latch and damper controls cool to the touch. Satin black, high temperature paint. Only for use in tents made for stove usage (i.e. a canvas wall tent with a stove jack); not for use in nylon or other tents not suited for stove use. Dimensions: 27 3/8?L x 17?W x 25 3/8?H. Made in U.S.A.
Rustic, heavy duty, cast iron construction. Ideal for any rugged outdoorsman, those with a nostalgic taste, or someone simply looking for reliable, cost efficient, heating. Inside this rugged exterior is a modern EPA Certified stove. Dimensions: 25.75"H x 18.5W x 33"D. Weight 116 lbs. Heats up to 900 Sq. Ft. Accepts up to 23? logs. MAY NOT BE INSTALLED IN MOBILE HOMES - EPA Emissions: EPA CERTIFIED. The dealer is responsible for knowing the regulation in their Provinces, State, city, county, district, or zip code. Sleek contemporary styling, duel fuel design permits connection to either Natural gas or LP gas. Automatic thermostat. Traditional wood stove design adds a warmth and charm to any home. Dual fuel design permits connection to either Natural gas or LP gas. Automatic thermostat. EPA certified, produces little to no smoke and heats up to 1,200 Sq. Ft. Firebox is lined with Firebrick to extend the burn time and help radiate heat into the room. It has a 6 inch top mounted flue, and steel legs. Dimensions: 17.5?W x 26?D x 26.25?H. Weight 260 lbs. Heats up to 1,200 Sq. Ft. Accepts up to 17? logs. MAY NOT BE INSTALLED IN MOBILE HOMES - EPA Emissions: EPA CERTIFIED. The dealer is responsible for knowing the regulation in their Provinces, State, city, county, district, or zip code. Rustic, heavy duty, cast iron construction. Ideal for any rugged outdoorsman, those with a nostalgic taste, or someone simply looking for reliable, cost efficient, EPA approved heating. It is perfect for log cabins, large garages and shops. This stove is durability defined. Tested and certified to U.L.. 1482 by Warnock Hersey International for greater peace of mind and safety assurance. It has a long life expectancy and is easy to use.Dimensions: 26?W x 35.75?D x 28.25?H. Weight 205 lbs. Heats up to 1,600 Sq. Ft. Accepts up to 27? logs. MAY NOT BE INSTALLED IN MOBILE HOMES - EPA Emissions: EPA CERTIFIED. The dealer is responsible for knowing the regulation in their Provinces, State, city, county, district, or zip code. Free standing, EPA Certified. Reduces heating costs by offering excellent heating by both a conventional and radiant means. Constructed of heavy-gauge plate steel for durability and years of high performance. Tested and certified to U.L. 1482 by Warnock Hersey International. A quiet, efficient, 100 cubic feet per minute blower, is included with the purchase of this stove. Dimensions: 27"W x 22.25"D x 30.25"H. Weight 275 lbs. Heats up to 1,700 Sq. Ft. Accepts up to 22? logs. MAY NOT BE INSTALLED IN MOBILE HOMES - EPA Emissions: EPA CERTIFIED. The dealer is responsible for knowing the regulation in their Provinces, State, city, county, district, or zip code. All cast iron construction for better heat radiation. Features cool touch spring handle with convenient ash door and tray for easy clean out and disposal. Draft controls on feed and ash doors. 8" lift out cook lid allows for top loading. Stove is fully assembled except for the legs. Burns coal. Clearances from combustible wall: 36" side wall, 36" rear wall and 36" corner. SPECIFICATIONS: Flue Size (Oval) - 6". Firebox Capacity (Coal) - 40 lbs. Dimensions - 32.5"H x 29"W x 22.25"D. Firebox Depth - 10". Door Opening - 8" x 10". Heats up to 1,500 square feet. MAY NOT BE INSTALLED IN MOBILE HOMES. EPA Emmissions: Exempt. The dealer is responsible for knowing the regulation in their Provinces, State, city, county, district, or zip code. Decorative european design, Accepts 16" logs. Heats up to 1200 square feet. XBT - technology and stainless steel reburner tubes provide maximum efficiency and up to 6 hours burn time. Extra-large viewing glass. Includes adjustable blower and refractory boards. 6" flue collar. EPA certified. Mobile home approved. Made in U.S.A. Dimensions: 21-1/4?W x 31-3/4?H x 15-1/8?D. Weight 239 lbs.The dealer is responsible for knowing the regulation in their Provinces, State, city, county, district, or zip code. Firebrick lined. Heavy duty cast iron shaker grate. Features 23" long firebox. Non-electric, bi-metallic thermostat. Cooking surface with a lift top lid and positive safety latch. Heats up to 1,800 square feet. Clearance to combustibles: 17" side, 35" back. Overall dimensions: 32.25"W x 33.5"H x 19.25"D, (23.5"D with blower). 50 lb coal capacity. Optional kits: DR6- draft regulator, B36TK- thermodisc kit for blower. NOT FOR USE IN MOBILE OR MODULAR HOMES. Not available for sale in WA and CA. EPA Emmissions: Exempt. The dealer is responsible for knowing the regulation in their Provinces, State, city, county, district, or zip code.